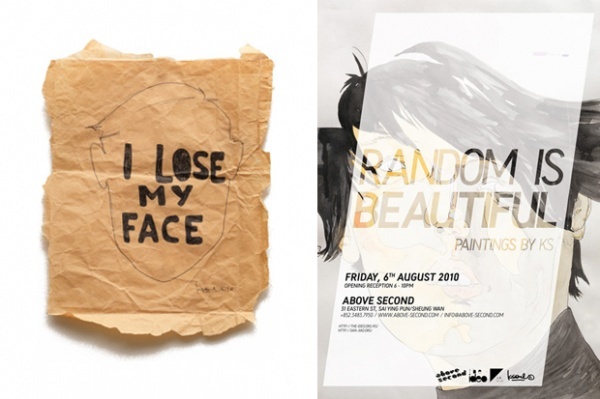 KS is opening his first solo exhibition later this week called “Random Is Beautiful”. The event is being held at Above Second Gallery in Hong Kong’s Sai Ying Pun area. The exhibition is inspired by the unique features held by each individual and art piece. The exhibit beings on August 6th and will be open from 6 PM – 10 PM. I lose my face – very funny!! !